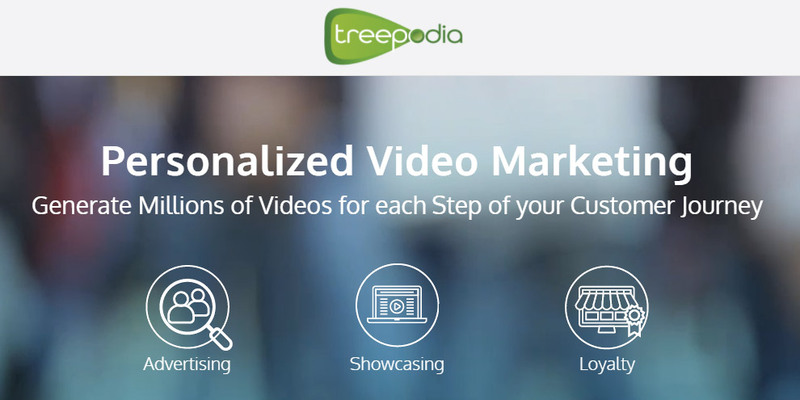 Treepodia is revolutionizing digital video marketing through personalized videos. The online world is shying away from generic, static ads that appear spammy to potential clients, and have little added value. Personalized videos allow the advertiser to customize each message for every client and address them by name, thank them for a previous purchase and offer discounts on future purchases, or wish them well for any occasion. The personalized video becomes a friendly online connection that builds brand awareness and trust, while entertaining and engaging clients at the same time. Q: Who is using personalized videos? A: We work with all kind of industries and provide relevant solutions: cross-sell videos for retailers, bill explainer videos for telecom, fidelity, videos on how to redeem points for airline companies, and walk-through videos for insurance companies. The idea is to customize personalized videos for each type of company, and then further break down the message of each video for each individual recipient, through advanced technology and big data. This allows us to produce thousands of variations, yet keep each one unique. Some of our clients include: Kimberly-Clark, Zalando, Amex, Sears, AIG. 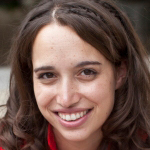 Q: Where does personalization happen? A: We can create personalization in a variety of places throughout the video; it all depends on the information provided by our clients. In all cases, personalization happens in the selection of scenes, content, visuals and in the voice over. It is based on algorithms that pull information from big data provided by our clients. A great example of this is with PokerStars—an online poker site. They asked us to provide videos for each player that summarizes their recent win using voice overs of well-known commentators. The richness of details and the one-one-one video message sent to each player discusses the player’s last game, explains their pitfalls, shows and explains their stats and rankings, and encourages them to keep playing, to try again and to reach for their poker goals. This is a powerful tool that creates engagement in a way that only personalized videos can accomplish. Q: What are the effects of personalization? A: Personalization affects all four stages of the customer funnel. At the top of the funnel, brand awareness is paramount and pulls the client through the rest of the journey. Generic, static ads offer a glimpse of a brand, but they do not create a memorable experience for a potential customer. Personalized video engages the client and starts a conversation through its interactive nature. It creates interest, taking the client to the second stage of the funnel. The shareable nature of video ads also helps to strengthen the second stage of the funnel, as the potential client takes time to check out a brand’s uniqueness, and share the video ad on social media. By the time they reach the decision stage, they will have already interacted with the brand in an interesting way. If they are repeat customers they will have been retargeted through Treepodia’s dynamic video retargeting with items that match their interests and previous purchasing patterns. Statistics show that dynamic video retargeting through YouTube is 47% more effective than non-dynamic ads. As they decide to close the deal, they would have already been enticed by special offers, a personalized message addressing them by name, or by other incentives. A: Our technology has absolutely no limitation on design, which allows us to personalize any video source. Clients can provide us with all their visuals and we incorporate them into the video in a personalized way, yet also maintain the integrity of the customer’s unique branding. We have years of experience in e-commerce, so we are used to preparing large quantities of video. We can create millions of videos in a very short period of time, which gives us a competitive edge on price. Creating video will soon become second nature, like sending an email. Customers are starting to expect not just video content, but also video ads. Q: How do you envision the future of personalized videos? A: This is just the beginning! There are so many ways to use personalized videos to speak with customers, and we will continue investing in R&D to provide the most flexible and efficient processes. But we are most excited about personalized companion campaigns, such as the one we recently produced for Carolina Lemke. Users have the option to upload a photo of themselves and replace either Bar Refaeli or Steven Tyler in a dance video that is a companion ad to the national campaign for Carolina Lemke. Brands that launch national campaigns, buy limited real estate and use a one-size-fits-all approach. At Treepodia we preserve the brand’s message and design, but take it to places it has never been: everywhere on the internet. This builds a strong, personal connection with the brand. Those that interacted with the video will now have a different perspective about Carolina Lemke, and every time they see the billboard ad, they will also remember how they danced with Bar Refaeli or Steven Tyler.